If you’re living in Australia and would like to buy a property; or you’ve visited this magnificent country, fell in love with it and want to move down under; you’ll be spoiled for choice when it comes to choosing your new home. With the famous sandy beaches, breathtaking sceneries and its cosmopolitan spirit; Australia is one of the most attractive destinations in the world. The fact that the country has been constantly developing its infrastructure and appeal, means that more and more people are looking to buy a house there; either to live in it or rent it. So, what are the 4 best places to buy property in Australia that realtors recommend? Although it may not seem an obvious choice, Brisbane is still not saturated with people, like Sydney or Melbourne; which makes Brisbane the perfect choice for those who like living in urban areas; but would like to avoid major crowds. Brisbane has become one of the most popular destinations among Chinese tourists; who flock in thousands to visit this beautiful city. The noticeable rise in the number of people visiting Brisbane suggests that there’ll be a need for more accommodation facilities for both the guests to the area and those employed in tourism and related industries. So, if your plan is to invest in a property; this might be a good opportunity to make some nice return on your investment. There is probably no need to explain why investing in a home in the most attractive and cosmopolitan city in Australia is a sound investment. Although you should be prepared to pay more than you would for a similar property elsewhere; you still stand very good chances of making a profit on your investment. With so many tourists visiting this magnificent city and people coming to work in one of the most thriving cities in the world; you shouldn’t have problems renting your new property out. If you’re not sure about the part of Sydney you should be looking into, consult local experts, such as those from White Square Properties, who will be able to help you make the most of your money. Sydney is so diverse, that you’ll definitely be able to find a house that suits your need in terms of both the amenities and location. If you’re looking for a place that offers many opportunities to relax away from the hassle of major cities; Bribie Island might the answer. 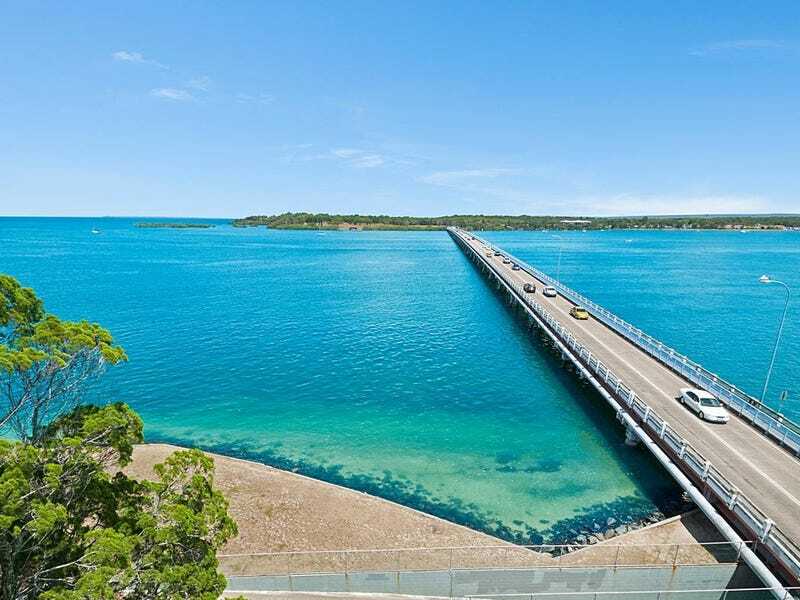 Being the smallest of the sand islands that form the coastline sheltering the northern part of Moreton Bay in Queensland, it is a perfect destination for all those wishing to spend their retirement surrounded by an amazing national park. This could be the perfect destination for those enjoying golf, sailing or simply relaxing on a beach, with not many people around them. Those who have their own boat can use a marina berth at an affordable price; thus making their stay even more fabulous. The fact that the airport serving this northern city is the closest to China, coupled with the vicinity of the Great Barrier Reef, makes Cairns a very sensible choice when it comes to investing in property. Even if you don’t see yourself living there; you can still make the most of your property by renting it either to tourists or tourism workers. Another point worth mentioning is that there are some of the best golf courses Australia has to offer; as well as secluded beaches; while the locals are renowned for their friendliness. As you can see, there are many reasons why investing here makes sense. So, if you really have your heart set on buying property in Australia; these four destinations should be added to the list of potential locations. Of course, your final decision will depend on the amount of money you’re prepared to invest and your plans; but knowing what the most popular places are is vital when making such a big decision as investing in property.